Making sure you have an optimal Sealer For Flagstone is something that can really overwhelm you when you don’t know what to do net. Are you trying to make sure you have the best possible backyard patio for your next flagstone setup? Perhaps you’ve got some commercial surfaces that are showing some wear and tear, and they’re all made out of flagstone. If you’re’ ready to make sure you have access to something that will make these struggles much more manageable, we can help you. Put the TSS PRO Sealant to the test by counting on our products to make sure you have all the resources you need. Depending on your needs, you may be trying to find a sealant that will dry to a finish that greatly pleases you. Are you trying to figure out the best way to seal your stones, but you’re not going to compromise on your desire for a high gloss finish? If so, the TSS PRO-400 High Gloss WetLooks is the sealant for you. This is an organic sealant that will give you the right finishes you’re looking for. Whether you’re using a driveway or a pool deck as your flagstone surface, you can count on this sealant to keep things in great condition. Make sure you’re able to get the right sheen and gloss out of your flagstone finish by using the TSS PRO sealants. You won’t regret it! Are you currently worrying about your flagstone that is close in proximity to your pool? Perhaps your home’s pool deck is made out of quality sandstone but you’re very cautious of it being cso close to that water. If this is what’s bothering you, it’s important to make sure you take care of the stone and make sure it lasts. Did you know that over time, your pool water could negatively affect your stone? If you want to make sure this doesn’t get the best of you, count on our team for assistance. Our online listings can provide you with the right resources and products you’ll need to properly seal your flagstone. Best way to get a little bit of gloss out of your flagstone? Maybe you want to make sure you do this in an organic and natural way. If you’re’ looking for some type of effect you can put onto your stones to make them better, we think you’ll find some great solutions by counting on our team. With us on your side, you won’t have to worry about not knowing who to trust or where to go. Our TSS PRO Sealants are absolutely critical if you’re looking for some type of solution for your sealing needs. Are you ready to figure out how to make sure your flagstone doesn’t become susceptible to water stains? If you’re’ worrying about this, you should always be aware of the chance for mold and mildew. This, coupled with algae, can do some major damage to your stones and make them stop working in an operative way. Because of this, it’s absolutely critical you find a place that can truly provide you with the resource sand sealants you’ll need to make the right moves. Find the right Sealer For Flagstone for your specific needs by counting on our team.w e understand when your flagstones start going bad, you won’t know how to handle it. If you’re’ ready to figure this out in a timely manner, or quality, all-organic sealants are perfect for you. 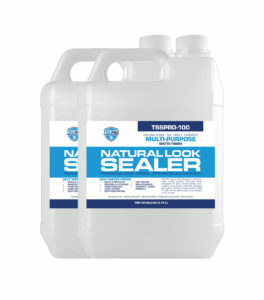 We have plenty of high-performance sealants such as the TSS PRO-200. Like its predecessor, the TSS PRO-100, it is completely organic and natural. However, this newer sealant contains bigger molecules that push out dirt and grime in a much more efficient way. If your’ trying to find an effective cleansing that will re-sesal your flagstone, this is for you. 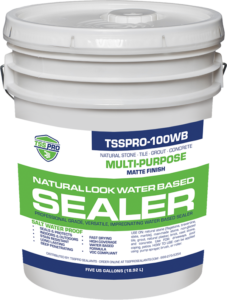 Not many people realize that they’re going to need a sealant that is specifically made for chlorine and salter-stained stones. This is something that not too enough stone owners pay attention to, and that is simply too bad. Flagstone is a beautiful material that is very common all around America. Both residential and commerce citizens use this on the daily abis if they’re trying to find affordable elegance. however, it unfortunately is something that can really get difficult if you don’t know where to find the right sealants. The TSS PRO-600 Sensifier Consolidator is another great sealant that you will be able to always count on. Are you trying to figure out how your’ going to be able to get the most out of your current stones? If you’re ready to utilize saline products with cross-linking sealing technology, you’ve come to the right place. You may feel as though your crumbling flagstone is going to have to be completely replaced and renovated. As you’re groaning in agony while calculating replacement costs, you’re probably very wrorired about affording this. While this is something that is definitely not frowned upon, everybody wants to try to repair before they completely replace. If you’re looking for a quality sealant, The TSS PRO-600 is the one for you. This densifying consolidator goes 10 inches deep into the surface it comes in contact with, giving it a strengthened finish that will help it over the years. Everybody wants to get the most out of their flagstone, regardless of what its current condition is. Our sealants help you do exactly that, and more. Finding the best possible Sealer For Flagstone is easy to do when you have our team around. Make sure you’re able to maximize your flagstone sealant by counting on our TSS PRO Sealants. These are absolutely incredible if you’re looking for a way to figure out your sealing needs in an affordable, effective way. Properly reseal your stones by using our products and making them work with your current setups. You won’t go wrong when you count on our team for more assistance with your sealings. Check out our online inventory today for more details on how we can help you reseal your stone surface.